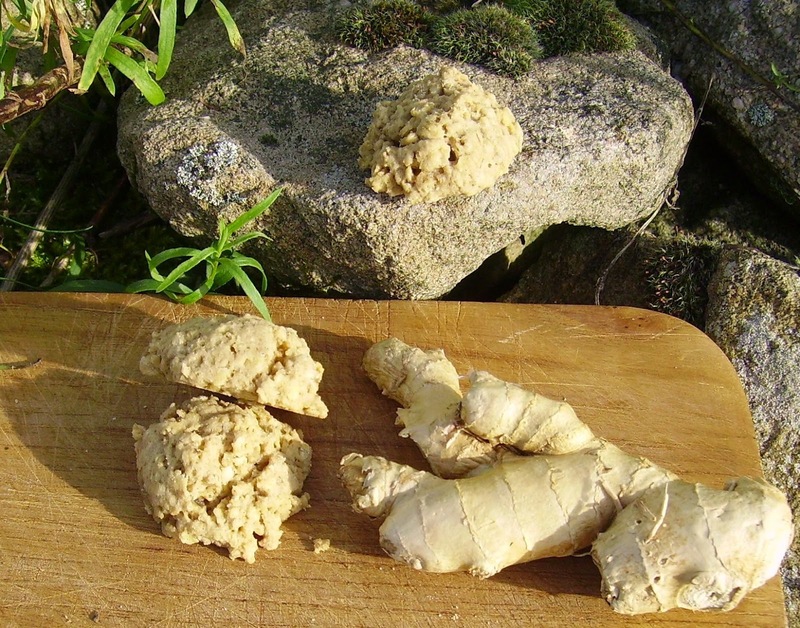 Ginger has many health properties, but in the first place, it tastes good. Maybe the health properties of candied ginger are not quite as big as those of plain ginger, but there still have to be some. In this cookie, I combined three things which I love in a cookie and which I never combined before: Ginger, molasses, and oatmeal. The classic oatmeal raisin cookie turned into something exotic and spicy. 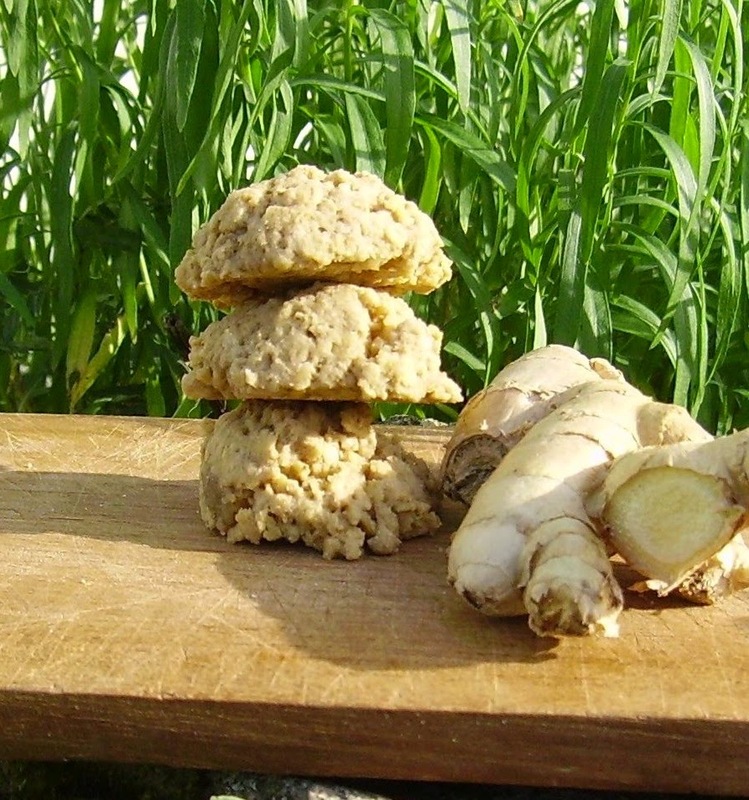 Not being a fan of very sweet things, the amount of molasses and erythritol used in this cookie is not exactly huge, because the ginger already is very sweet. Feel free to increase the amount of sweetener to your liking. These are small, soft and chewy cookies, no crunch here. You can of course make them larger if you wish. Cream together margarine or butter, molasses and erythritol or sugar, add eggs one at a time. Combine flours, xanthan, baking powder, salt, spices, oats and ginger. Knead dry ingredients into wet. Drop 1/2 tablespoons of dough onto non-stick paper lined cookie sheet and bake for 10-12 minutes. Let cool on a wire rack and store in a cookie jar for up to 2 weeks if they make it that long. Have you ever tried Chinese soft ginger bonbons? Artandkitchen says: Thanks Mia, yours delicious, tasty and not to sweet cookies came out delicious. I substituted the red rice flour with 1/2 cup corn flour and 1/2 cup glutinous rice flower, but omitted the gum. I opted for sugar and nutmeg. The preparation was easy and the dough hold very well together.